If you’re unfamiliar with the web automation service IFTTT then I’d suggest you head over to its about page to check it out. Basically it’s a set of actions and modules that you can use to create recipes for making things happen automatically on the web. I’m always fascinated with the uses that people find for the service, which often solve problems by gluing two awesome services together. 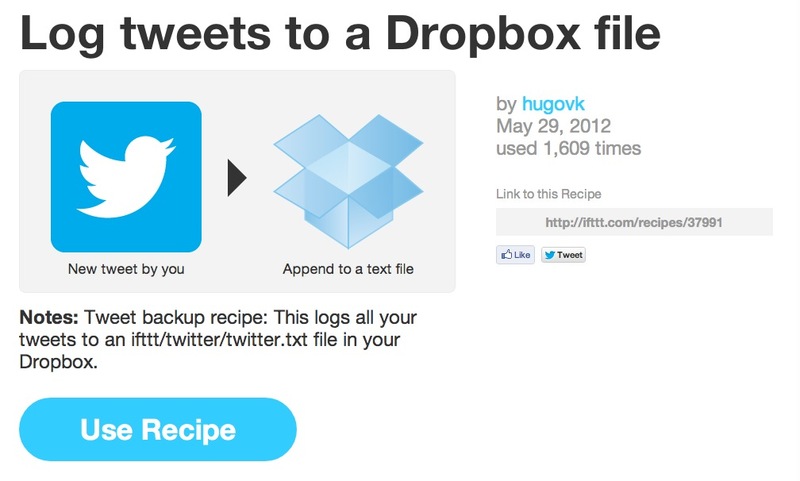 Today, it’s Twitter and Dropbox that are being glued together using IFFT recipe magic. At the crux of the recipes that we’ve gathered here is that Twitter doesn’t give you access to any more than 3,200 of your own tweets. That’s a very long time for some people, but for Twitter power users it can be only a few weeks or days. Either way, not having access to content that you yourself produced isn’t the best situation ever. This is the reason that I love Tweet Library, an app that collects your Tweets, so much. 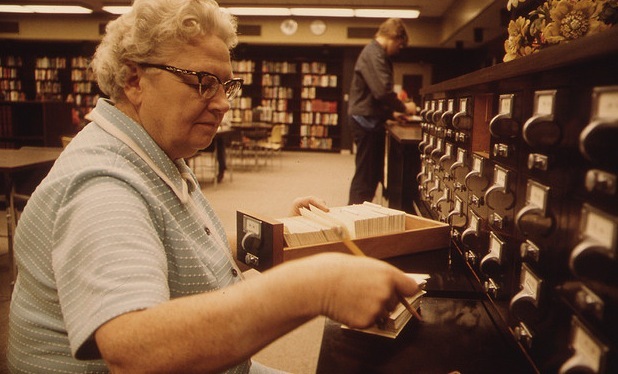 But the best case scenario is to have an archive of your Tweets that you store locally on your computer, that you can back up easily and that you can open in any text editor. That’s where these cool IFTTT recipes come in. You’ll need an IFTTT account to use these, of course, but the rest of it is pretty darn easy to set up. The original recipe was shared on his blog by Justin Blanton, who designed his method to clog all of your tweets to a folder in your Dropbox at /ifttt/twitter/twitter.txt. From there, the recipe was iterated by Brett Terpstra, the maker of Markdown preview tool Marked, to format the file in the plain-text markup language Markdown. This should allow for easy conversion to well-formatted text if you ever need to publish the tweets in the future. I love this tweak because my primary method of text editing on the Mac, iPhone and iPad is in Markdown. Also riffing on the idea, blogger and programmer Richard Gaywood ginned up a recipe that saves just the tweets that you favorite, making for a nice archive of the stuff that you ‘like’ on Twitter. This will probably work best for those who use the fave button as a bookmarking service of sorts. I don’t use it that way myself, but I’m still going to save them separately as it will be good to have a record of them after I’m no longer able to go backwards to find an interesting Tweet. He then also made one formatted in Markdown, just for the halibut. Just choose your particular poison and add the recipe to your IFTTT profile. If you haven’t already, you’ll have to authorize the service to use your Twitter and Dropbox accounts. Do you have a favorite use for IFTTT or a fun new recipe using Twitter? Let us know in the comments below.